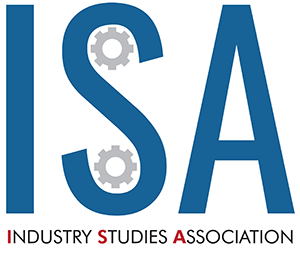 Welcome to the Industry Studies Association! The ISA is a community of scholars committed to rigorous research grounded in deep understanding of industries, geography, workplaces, and firms. We bring together scholars from disciplines including management, economics, sociology, engineering, operations research, law, economic geography, public policy, and more. Much of our members’ scholarship features direct observation at the firm, establishment or workplace level; this work is often cross-pollinated with understanding generated from representative samples and large data sets. 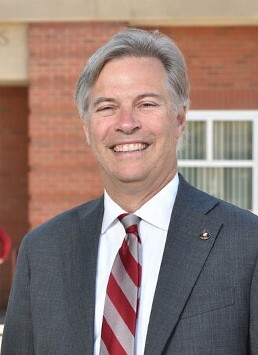 The ISA is a wonderful place to gather with like-minded researchers who make investments in learning about markets and institutions that shape the industries and firms that they study. Our annual conference is a “can’t miss” for our members, who find opportunities to present their latest work, to learn from what others are presenting, to receive helpful feedback on work in progress as well as strong career advice, to join excursions to local sites of interest, and to strengthen and build their networks. This year, we meet in Nashville from May 30 – June 1, and I hope to see you there. Registration is now open to the 2019 Industry Studies Association conference. Join us in Nashville at the Gaylord Opryland Resort & Convention Center May 30 - June 1, 2019. Enjoy two full days of paper sessions, two engaging plenary sessions, and the pre-conference professional development workshop for early career scholars. Conference registration includes all general and breakout sessions, lunch, and two receptions. The welcome reception is open to guests of conference attendees with a $25 additional fee. The ILR Review features a special series on Industry and Organization Studies in partnership with the Industry Studies Association (ISA). The goal of this article series is to promote rigorous scholarship that examines the complex, real-world problems faced by industries and organizations. The Review has a long record of publishing articles in the industry studies tradition—based on interdisciplinary, field-based research. It is the premier outlet for industry studies that address the world of work and employment. This series seeks to foster the development of the next generation of scholars who will advance theory, policy, and practice in this field.